Red Line Grading & Excavating, Inc. 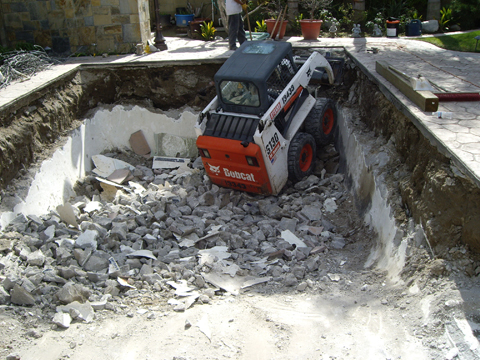 Pool Demolition, Pool Removal, Pool Back Fill and Pool Excavation. 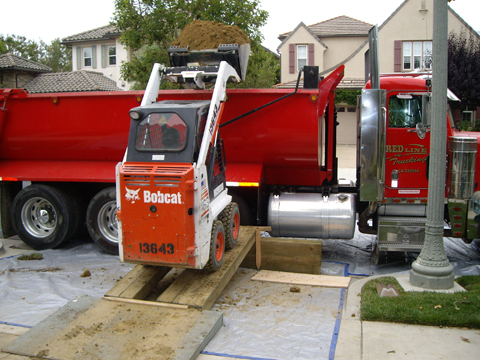 Red Line Grading and Excavating, Inc. is a Family owned and operated business and we specialize in Pool Demolition, Pool Removal, Pool Back Fill and Pool Excavation. We are experts in Pool Demolition and Pool Removal and our services are available for commercial, residential, and apartments projects. We serve the entire Orange and Los Angeles County area. WE PROVIDE REFERRALS FROM PREVIEWS PROJECTS UPON REQUEST. OUR SOIL IS TESTED BY AN AUTHORIZED LAB OF THE COUNTY OF ORANGE. NO TRASH, DEBRIS OR CONTAMINATED SOIL IS PLACED IN YOUR POOL! Supervision by project manager throughout project. City building permits and associate city bunds. Scheduling inspections with city inspectors. Pumping out water from existing pool. Cap utilities (Water, Gas, and Electricity). Removing existing pool equipment & haul away. Making holes at the bottom of pool for proper drainage. Demo existing coping & gunite wall 24" below finish grade. Soil Engineer report / compaction report. Backfill existing pool with clean soil @ minimum of 90% compaction. "Martin, the owner, handled the contract and was always prompt in returning my phone calls with questions and concerns. 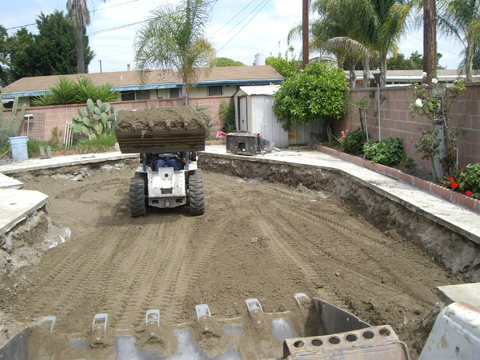 Martin and his crew were very professional in backfilling my pool in May, 2011. They were prompt, cleaned up and got the job done in a timely manner. I highly recommend this company to back fill your pool." - Sharla O. Orange, CA. "Martin, thank you for the demolishment of my pool and completed the work on time. Your level of service and quality of your work were exceptional. You have shown me that you are a reliable contractor a homeowner like me can trust. It was a best investment that I made for my home and it was a best decision choosing you as my contractor. Thanks again for your work on my pool." - Joshlyn D. Fountain Valley, CA.